Venturing out in the city on a snowy night is quite gloriously disorientating, so it made stumbling into East Thirty-Six with my date that bit more exciting. Dark tones and the rattle of ice in cocktails paint the scene; it is quite clear many come here to enjoy a drink or two (or three!). Sitting down at our table, we ordered special valentines “His and Hers” cocktails (a Cupid’s Bow and a Raspberry Truffle). 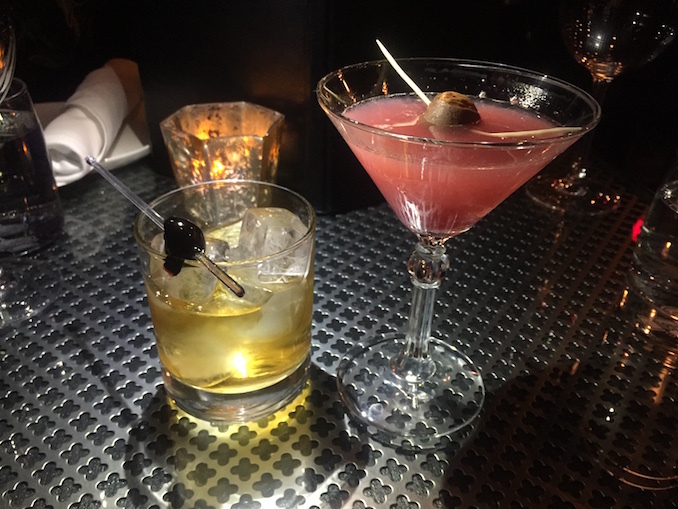 Usually I don’t like to stereotype, but to be honest, I loved my sweet, fruity drink with hints of white chocolate, as much as he loved his harder drink, made up from rye whiskey and garnished with a black cherry. The menu at East Thirty-Six is designed with sharing in mind, which is great when you are on a date, be it your first or your thousandth! 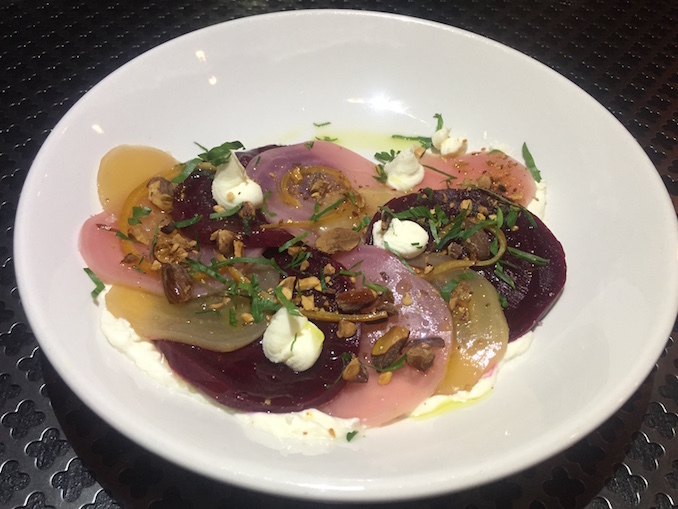 We started off by tasting the delicious beet salad, served with a goat cheese yogurt, which got my date talking about how his father used to grow beets in his garden back in England. The garnish of horseradish, preserved orange and chopped almond was a real treat. 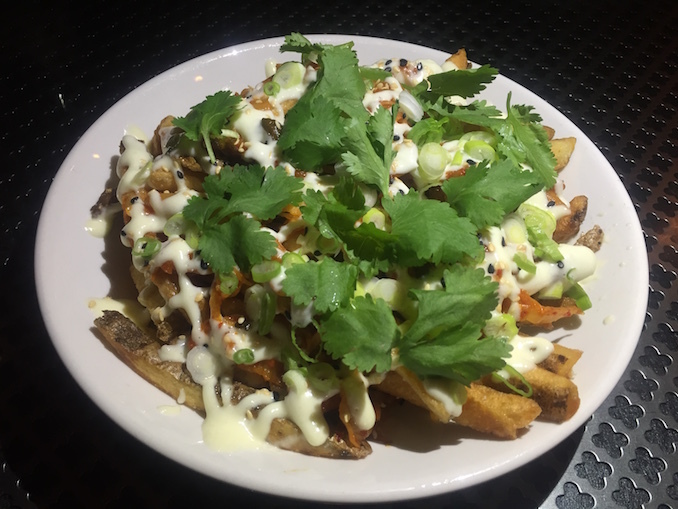 Next we tried a local favourite, the kimchi fries, served with cilantro, green onion and pecorino aioli. I mean…these babies were delicious. Trying to politely share this with my date was a task, but he was quite the gent and allowed me a few mouthfuls more. All of a sudden I understand why, as the waiter had just informed me, people make a special trip to East Thirty-Six just for the fries! After we had polished off the fries, it was time for more cocktails because…when in Rome, and all that! 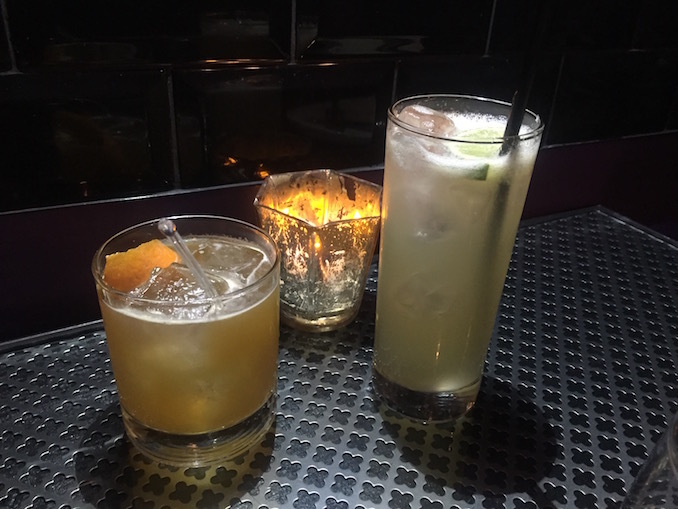 This time I opted for a Belle Epoque, with Grand Marnier, Hennessy, clementine ginger jam and Scotch rinse, while my date went full out 1900s decadence with an absinthe based Tranquillo. Two excellent choices to toast the night away! 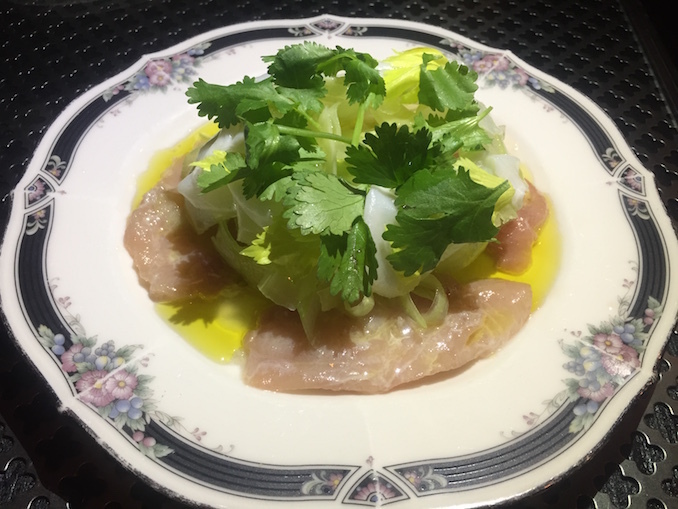 My favourite dish of the evening was the ever so light albacore tuna crudo served with lardo, celery, tequila, lime and cilantro. 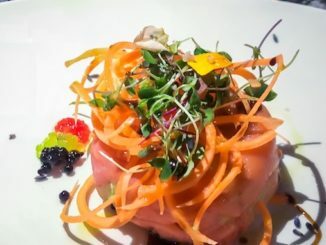 Delicious and delicate, I am a huge fan of tuna at the best of times, especially when raw and marinaded for a good amount of time, which certainly seemed the case. Then, out came the big guns of the evening. 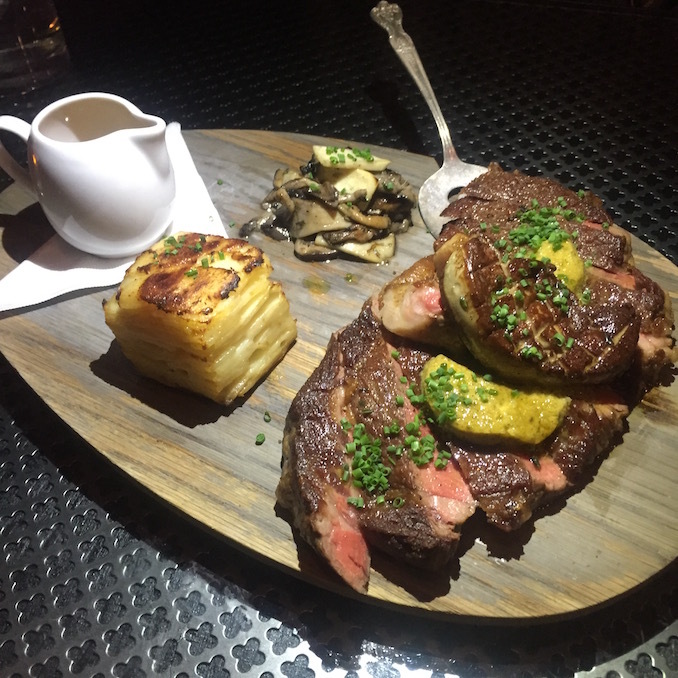 A 12 oz ribeye with wild mushroom, potato pave and café de Paris butter. As it was an especially decadent evening, we had the whole thing topped with foie gras, which was a rare and definitely naughty treat. The mushrooms were delicious, the pave divine and the steak juicy and cooked to perfection, with the butter seasoning a real winner. Did I feel full at this point? Sure, but that wasn’t going to stop me trying tiny mouthfuls of a trio of deserts, washed down with a 2009 vintage port. I have to say, for Valentine ’s Day, the chocolate delice with peanuts, caramel, olive oil and maldon is a real winner. I would recommend ordering a digestif or a coffee, taking two spoons and splitting the chocolate dessert. 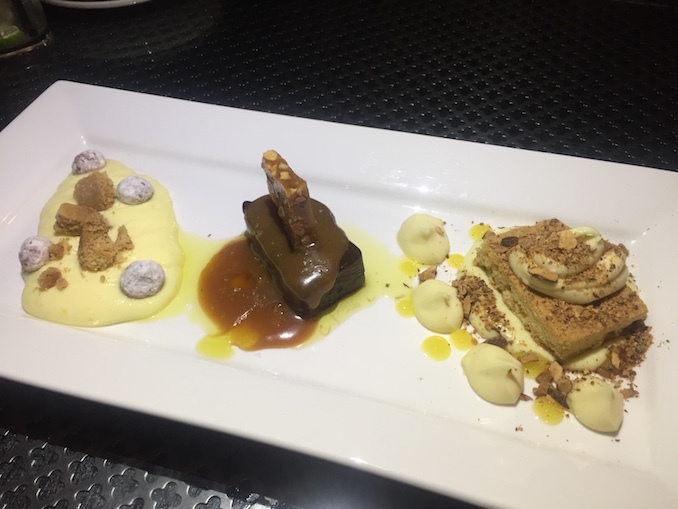 Although if you prefer a palette cleanser, the lemon custard with candied macadamia nut and shortbread was also a real treat! 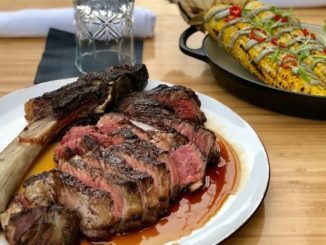 If you’re stuck for Valentine’s Day plans or would like a suggestion for your next date night, I would say you can’t go too wrong with a trip to East Thirty-Six (Wellington St E). 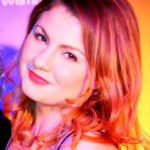 Check out their website for more info.